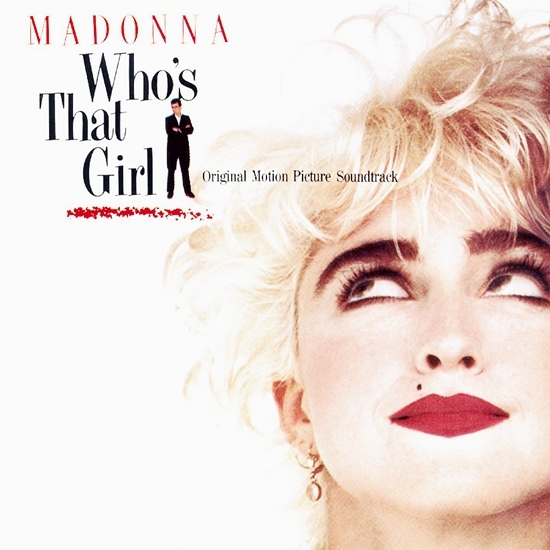 Do I remember Who’s That Girl? Yes I do! Never has an artist been so appreciative of her audience! Madonna is the seminal and singular figure in Rock who commands a stage like no other! All alone on a darkened stage-Lady Madonna-with the audience at her feet-does the happy/sad balancing act like a gymnast-Spinning round like a whirling dervish, Madonna owns the world in a tight grip! I agree James, she was probably at her most energetic during that tour and didn’t hold anything back! I remember sitting in my car listening to the Top 40 hoping “Causing a Commotion” would go to #1. It was the #2 song for three weeks! I always loved that song and its remixes. I wonder if a video would’ve helped give the song that extra nudge to top the chart? Also, I saw that a video for “The Look of Love” had been uploaded to Madonna’s YouTube channel. I wonder if that video played in the UK back in 1987 or if the video was newly created. I’d never seen or heard of it before. Despite the movie underperforming, it was a fun time to be a Madonna fan. Agreed AJ, I always thought the songs on this soundtrack were possibly the most dated sounding of her back catalogue in terms of production, but they’re great songs nonetheless. Her performance of the title track on the Rebel Heart Tour was a highlight for me and reaffirmed to me what a fantastic song it is. I had always taken the lyrics at face value but hearing her perform a slowed and stripped down version revealed an entirely different subtext to the lyrics that had never occurred to me before…to me, that’s always the mark of a great song!